Ms. Kamp is a Senior Associate, Executive Director Strategic Initiatives, Clinical Materials Services Unit (CMSU) in the Center for Human Experimental Therapeutics (CHET). 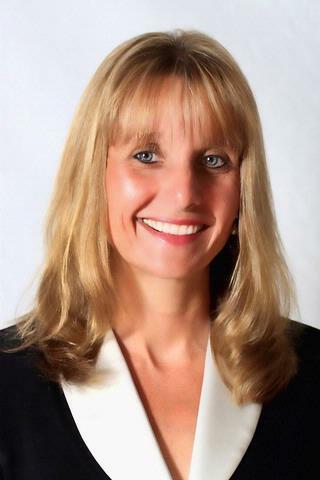 Ms. Kamp received her Masters in Business Administration from the William E. Simon School of Business Administration from the University of Rochester, with a dual major in Finance and Operations Management in 1994. Ms. Kamp has more than 20 years experience in pharmaceutical based research, both commercial and academic. Ms. Kamp established and leads the Clinical Materials Services Unit (CMSU) which provides packaging, labeling, distribution, return and destructions services for investigational drugs/devices. Ms. Kamp has served as the Senior Project Manager for numerous clinical studies in a number of neurological conditions. She was the Director of Operations for the Clinical Trials Coordination Center (CTCC), University of Rochester, for 8 years responsible for project and data management, monitoring and administration. She has also participated on the steering committees for a number of trials. Ms. Kamp was the Vice President of Operations, SCIREX Research Centers/Premier Research Group (PRG) a for-profit Contract Research Organization (CRO) for three years, overseeing four fully owned research sites, employing 140 clinic staff engaged in studies for acute pain. Additionally, she was responsible for establishing a fifth clinic with a fully functional OR during her tenure. Ms. Kamp has a primary research interest in: Clinical trial design; simplifying clinical materials (drugs/devices) procurement, packaging, labeling, and distribution; regulatory aspects of conducting international clinical trials; recruitment strategies; and site performance metrics. Antisdel JL, Meyer A, Comer B, Jang D, Gurrola J, Khabbaz E, Christopher K, Kountakis S. "Product comparison model in otolaryngology: Equivalency analysis of absorbable hemostatic agents after endoscopic sinus surgery." The Laryngoscope.. 2016 Jan 0; 126 Suppl 2:S5-13. Epub 2015 Oct 28. Santos J, Alarcão J, Fareleira F, Vaz-Carneiro A, Costa J. "Tapentadol for chronic musculoskeletal pain in adults." The Cochrane database of systematic reviews.. 2015 May 27; (5):CD009923. Epub 2015 May 27. Harris CS, Lifshitz M, Raz A. "Acupuncture for chronic pain? Clinical wisdom undecided despite over 4000 years of practice." The American journal of medicine.. 2015 Apr 0; 128(4):331-3. Epub 2014 Nov 22.